Earlier this month, Disney announced its Skyliner gondola system will be operating at the Walt Disney World Resort in fall of 2019. On Wednesday, Disney released its first images and videos of the gondolas. 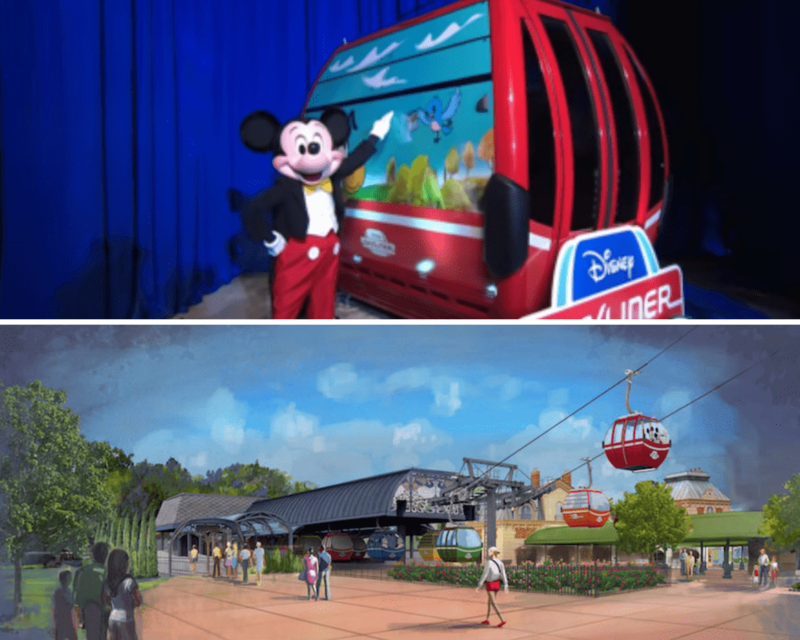 Disney Parks, Experiences and Consumer Products Chairman Bob Chapek unveiled the gondola to Disney fans during D23’s Destination D: Celebrating Mickey Mouse event. According to Chapek, the gondola system will connect Disney’s Hollywood Studios and Epcot to four resort hotels: Disney’s Art of Animation Resort, Disney’s Pop Century Resort and Disney’s Caribbean Beach Resort as well as Disney Vacation Club property Disney’s Riviera Resort which is currently being constructed. See more about Disney’s gondola system in the video below.